pie | Exciting Adventures of an ex-Archaeologist, soon to be Teacher! 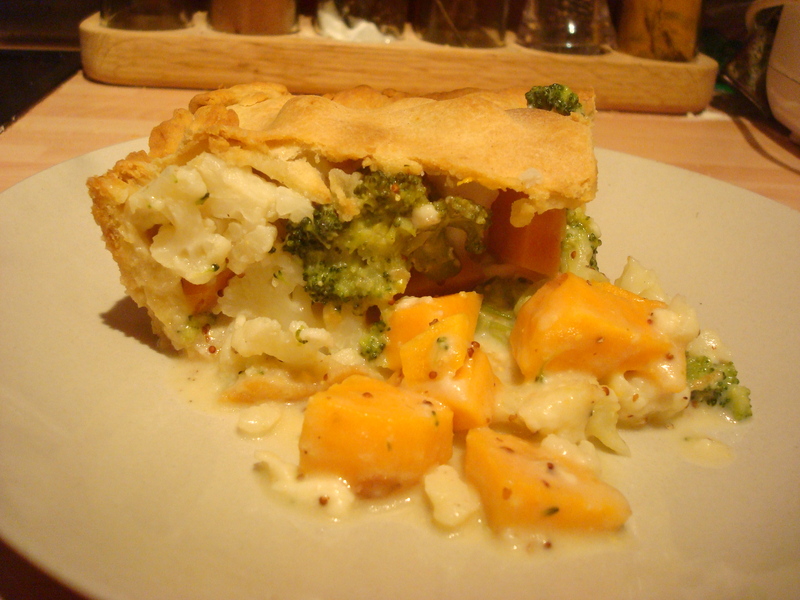 Broccoli, Cauliflower cheese, sweet potato in a cheest pastry pie - delicious! British Pie Week – what will you be doing? I heard of this because it was trending (unpromoted) on Twitter. Further investigation showed that it is made up and sponsored by Jus-Rol, the pastry manufacturers. The problem I have with this is NOT that a company is using an everyday dish to promote its product, but that inexperienced cooks might think they need a particular brand of pastry to make a pie – nonsense! Go experiment people! There are plenty of excellent recipe books out there in print and on the internet. I’m buying into the spirit of the week anyway, but not with readymade pastry. I’ll be reading the Hairy Bikers Perfect Pies tonight and seeing what takes my fancy. I love pies (if you know me, this is evident at the waistline) so any week that promotes healthy and interesting cooking is fine by me, made up celebration or not!